Cooler Master rolls out the Elite 361, a new budget case that will ship later this month. The specifications of this mini-tower can be found over here. 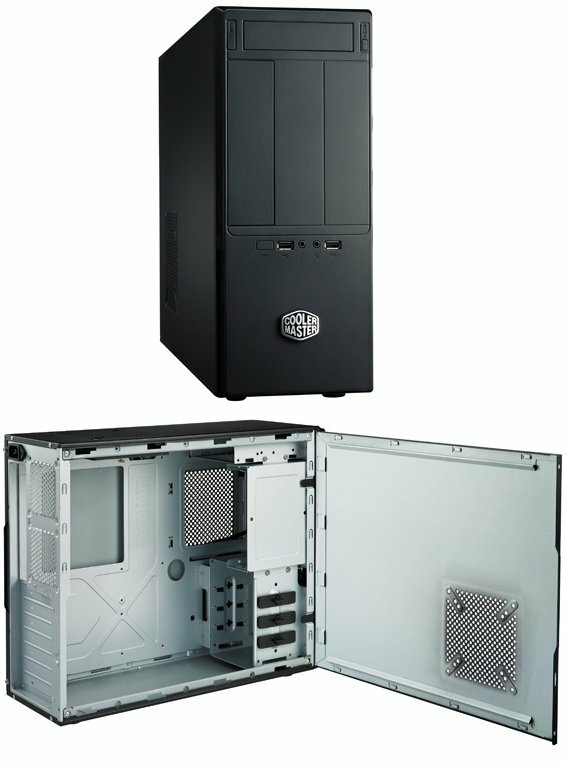 Viewing the interior reveals that Elite 361 supports up to a full-sized ATX motherboard, six 3.5” hard drives while being potentially expandable to a multiple graphics card configuration with its seven expansion slots. Benefiting from innovate enthusiast-grade features, Elite 361 incorporates a removable hard drive cage that, when removed, offers a maximum space of 12.3” or 312mm for graphics card length. A large 120mm top fan and several optional 80mm to 120mm fan ports provides superior ventilation potential.